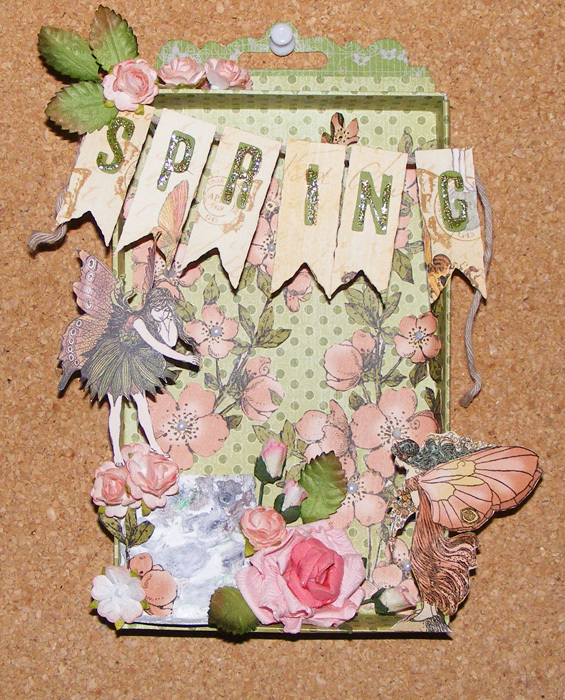 Today we are going to share a Spring Wall Decoration by Andrea. 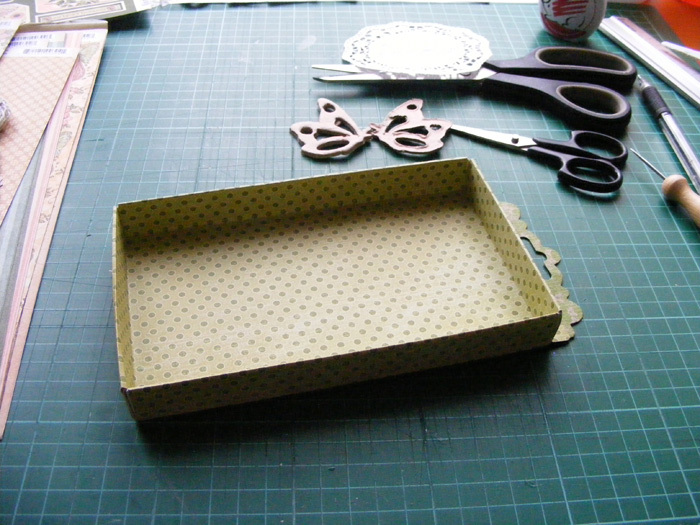 It is an altered sweet box project. 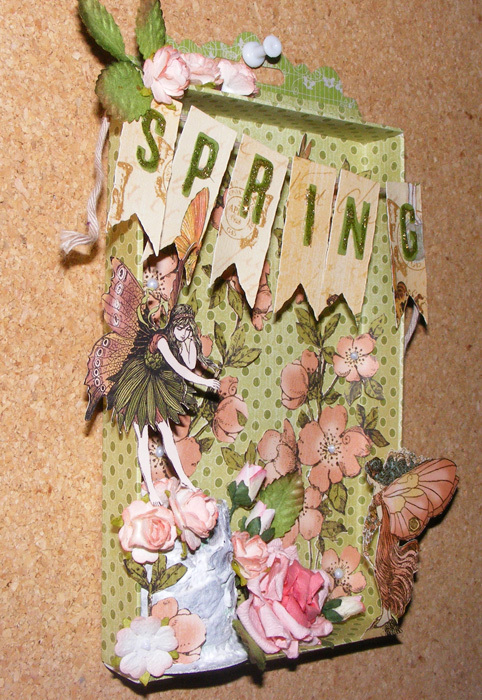 Scroll down and have a look how Andrea transformed a simple paper box into a fabulous spring decoration. 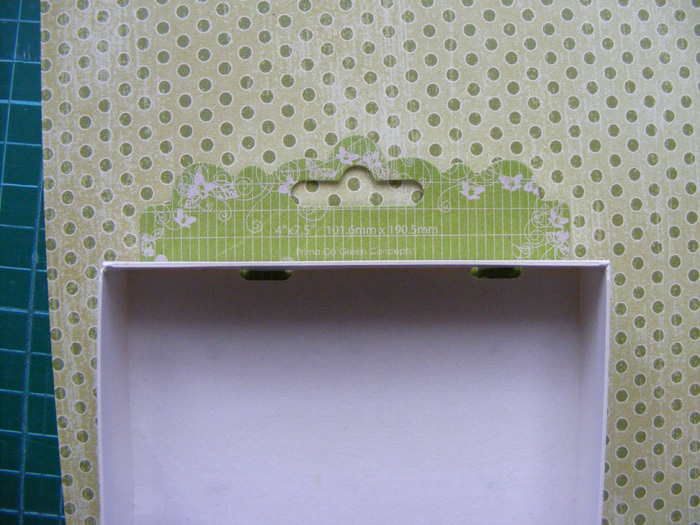 Cover the inside of the paper box with some scrapbook paper. 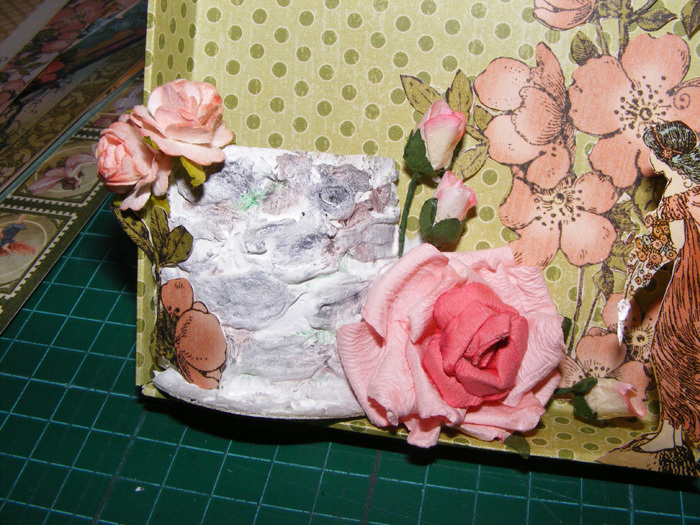 Glue the Prima flower backing on the back of the box, if you want to hang it later on. We are going to create a well. 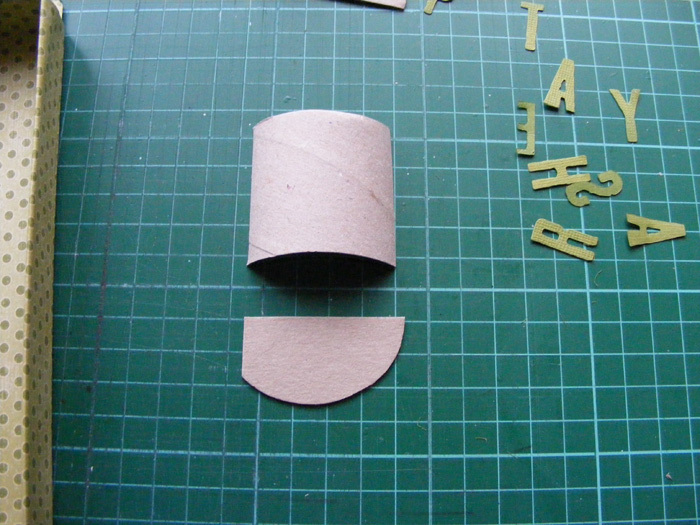 Cut apart the paper roll and show in the pictures below. 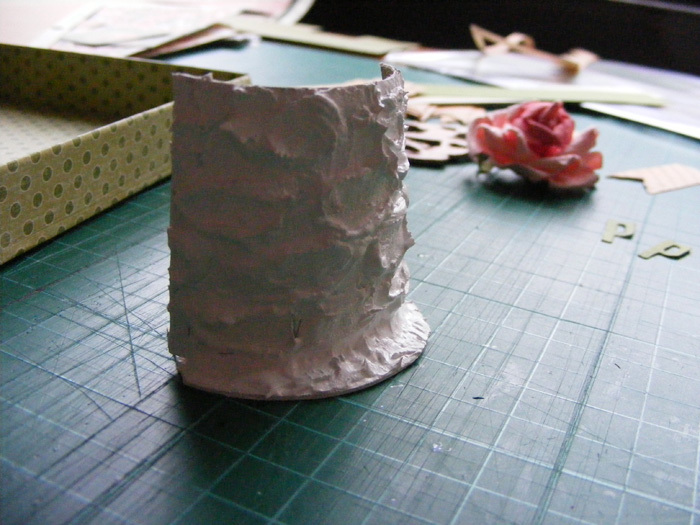 Cover the paper roll with structure paste and let it dry. 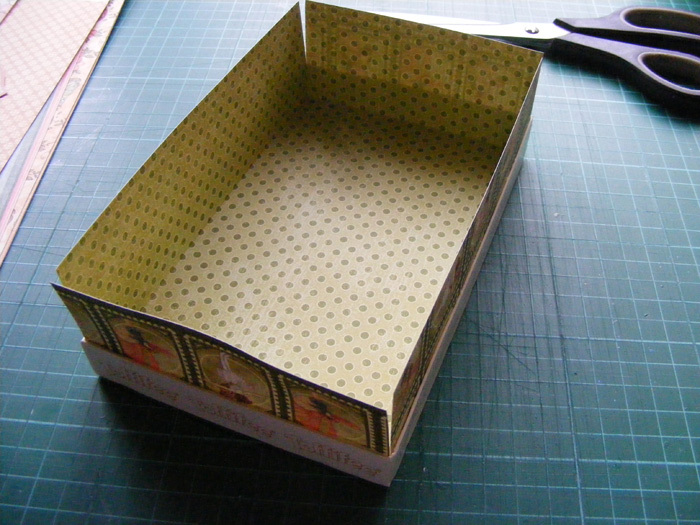 Start building the scene in the inside of the box. 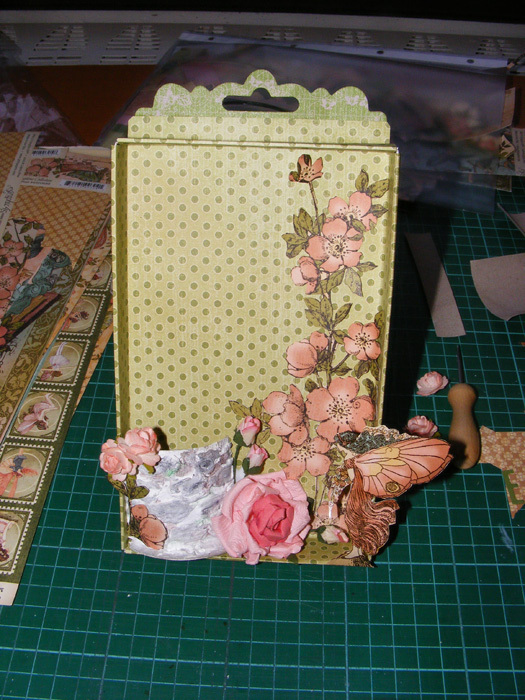 Cut out some flowers from patterned paper and place it in the background. 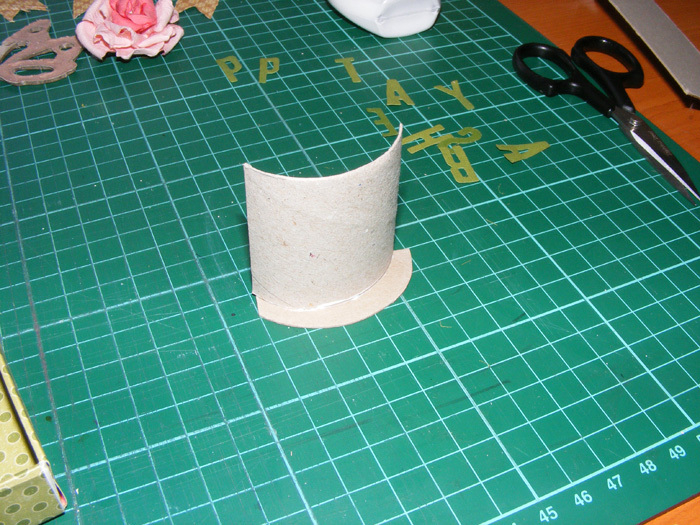 Then glue the well in the corner. Add more flowers and leaves around the well. 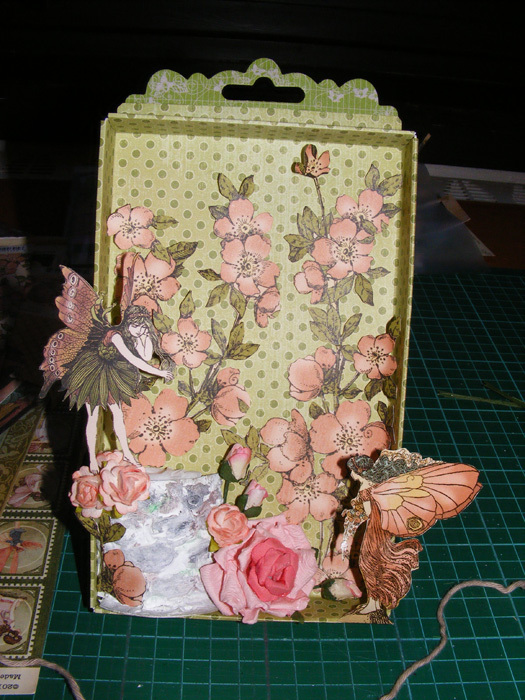 If you have a fairy on the pattern paper, cut out and add the fairy to the composition. Graphic 45 papers would work really well with this project. 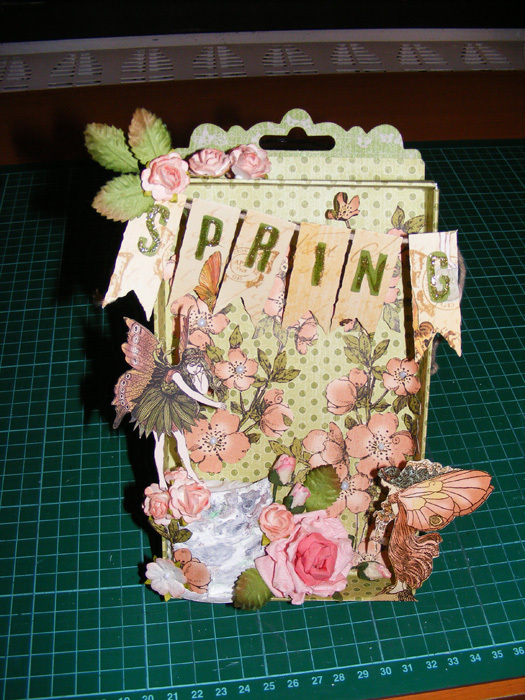 Die cut some letters to spell out SPRING and banner pieces in matching size. Colour them to match your colour scheme. And finally hand them from the top of the box. This is the final Spring Wall decoration.